The federal government says it is not interested in decriminalizing any drugs beyond marijuana, despite calls from Canada's two largest cities to consider the measure. As the opioid epidemic washes over the country, Montreal and Toronto are urging the federal government to treat drug use as a public health issue, rather than a criminal one. Montreal's public health department has just thrown its support behind a report released recently by Toronto's board of health which urges the federal government to decriminalize all drugs. Mylène Drouin, the director of Montreal's public health department, said last week that she was in favour of Toronto's report and that decriminalization will be on the agenda at provincial and national health meetings. 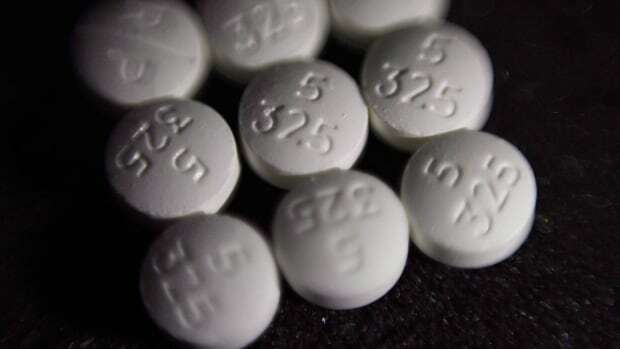 A Health Canada report last month found that nearly 4,000 Canadians died from an apparent opioid overdose in 2017, including 303 opioid overdose-related deaths in Toronto. In Montreal, the number of deaths relating to probable opioid overdoses was 140 for a period of a little over a year, ending June 30. Vancouver Mayor Greg Roberston has long called for the decriminalization of all drugs, a position which has been repeated by health officials and advocates across British Columbia. In Vancouver, there were an estimated 335 opioid-related deaths in 2017. But the federal government is not budging on its position, insisting that decriminalization is not an option. Thierry Belair, a spokesman for Health Minister Ginette Petitpas Taylor, says the federal government is not looking to decriminalize or legalize any drugs aside from cannabis. Belair says the government understands that stigma and barriers to treatment need to be reduced, and Ottawa has taken steps in that direction. He said the federal government has made it easier for health professionals to provide access to opioid substitution therapies; and has also approved more than 25 supervised consumption sites. Fardous Hosseiny, national director of research and public policy at the Canadian Mental Health Association, which has also advocated for decriminalization, said the organization welcomed the calls from Vancouver, Toronto and Montreal. "Given the scale of the opioid crisis in Canada, we know that we need to take bold action," he said. "We know that evidence tells us that the war on drugs hasn't worked, so criminalization really stigmatizes people and creates barriers for them accessing treatment and accessing help when they need it." Hosseiny raised Portugal's model as an example, which B.C. urged the federal government to adopt. The EU country decriminalized all drugs by eliminating criminal penalties for small possession and consumption of illicit drugs in 2001. While Prime Minister Justin Trudeau and his health minister might not be keen to add the decriminalization of all drugs to the election banner in 2019, their party's supporters like the idea. The Liberal convention in Halifax last April saw delegates adopt a resolution that supported decriminalizing all illegal drugs. The resolution put forward by the national Liberal caucus for debate at the convention called for illegal drugs to be treated as a public health issue. It also urged the government to adopt the Portugal model. Taylor said at the time that what works for a small country like Portugal wouldn't work in a large one like Canada. Federal NDP Leader Jagmeet Singh urged Trudeau last fall to decriminalize all illegal drugs and he also campaigned on a promise to decriminalize all drugs during his party's leadership race. Conservatives have been largely opposed to legalizing pot and would be expected to oppose decriminalizing even harder drugs.